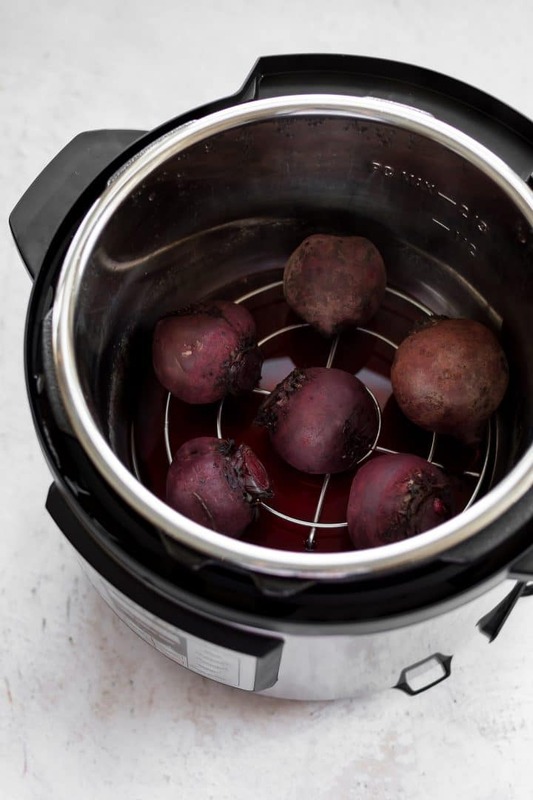 If you’re wondering how to cook beets in the Instant Pot, I have two methods for you – pick whichever sounds easiest! 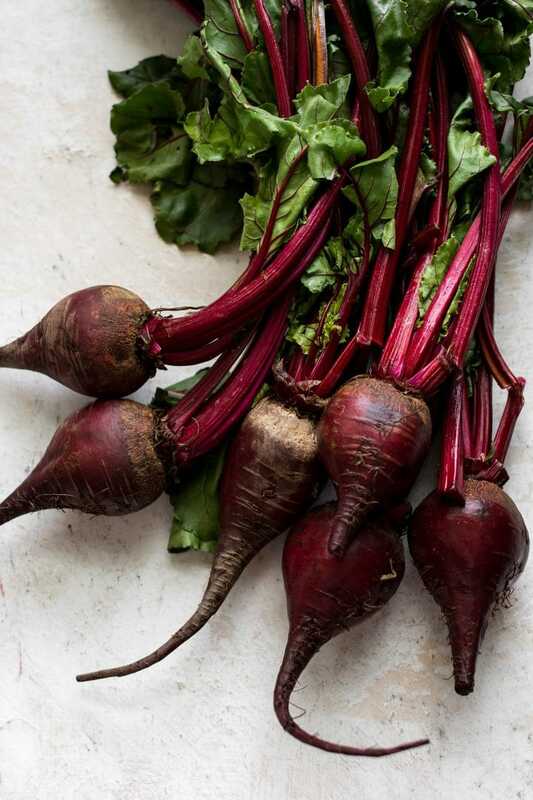 There’s pros and cons to each method, but both will yield tasty beets that can be used in salads, as a side dish, or anything else you need cooked beets for. Another thing you can use cooked beets for is to blend them into hummus. This is a total shortcut for making my beet hummus recipe more easily! You may also like to know how to cook corn in the Instant Pot and how to make the best Instant Pot carrots. This one involves peeling the beets beforehand and cutting them into quarters. Pros: The prep is done ahead of time, so you can eat the beets right after taking them out of the Instant Pot. Cooking time is faster than method 2. Also, the beet juice leftover from cooking can be cooled and drank as-is or used for other things (e.g. in a soup or smoothie), which I consider a bonus. Cons: Peeling raw beets can be time-consuming. 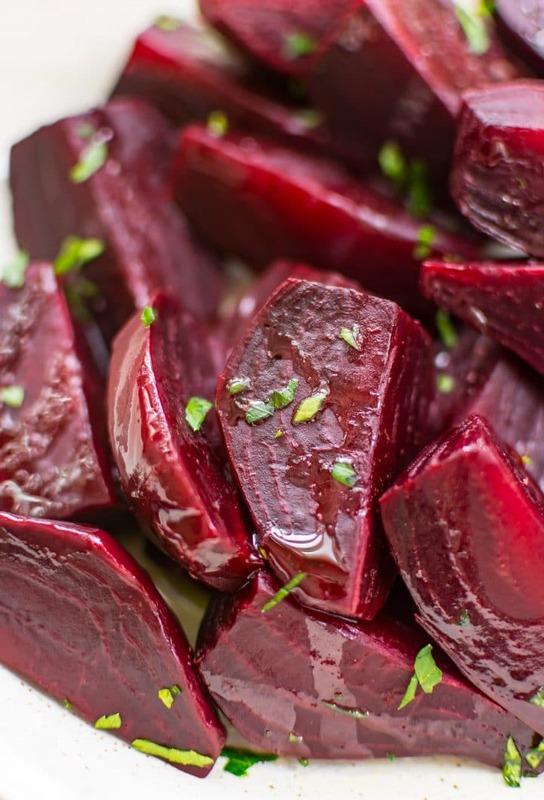 This method involves cooking the beets whole and peeling them after they’re cooked. Pros: You just have to scrub the beets prior to cooking them, so prep time is minimal. It’s also nice to be able to just slide the skins off once they’re done vs. having to peel them raw. Cons: Cooking time is longer. I also don’t recommend keeping the leftover beet juice because you didn’t peel the beets ahead of time, and there may still be some dirt present. 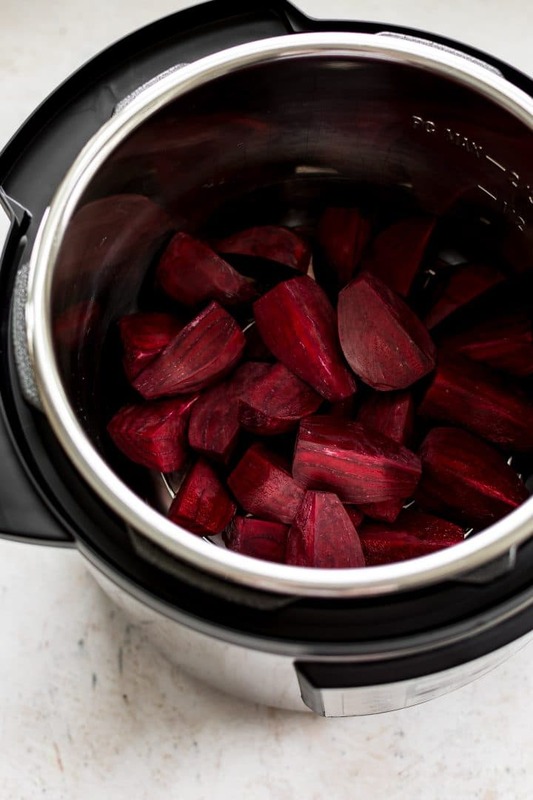 Have you ever made beets in your Instant Pot? If you're wondering how to cook beets in the Instant Pot, I have two methods for you - pick whichever sounds easiest! Cut the ends off the beets, and then peel them using a potato peeler. Cut the beets into quarters. Add the trivet and water to the Instant Pot and place the beets on top. Cook on high pressure for 5 minutes, and then do a quick pressure release. The beet juice left in the Instant Pot can be cooled and drank or saved to add to soups etc. Scrub the beets and trim the tails. Cook on high pressure for 20 minutes, then do a quick release once the countdown has finished. The skins should come off easily by rubbing the beets with a piece of paper towel. Both methods for cooking beets work best if they're all around the same size. The cooking time suggestions are for beets that are around 2" in diameter. My beets were fairly soft at the time indicated. If you want tender-crisp, reduce cooking time. Larger beets will need approx. 25-30 minutes, and smaller ones 10-15 minutes. Cooked beets will keep in the fridge for about a week or so. Inactive time in the recipe represents the time it'll take the Instant Pot to build pressure. I really don’t care which method you use. Just bring me some beets right now.